This year’s event is Saturday, June 11th, 2016! 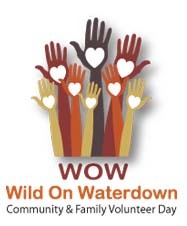 Wild On Waterdown is an event designed to CONNECT OUR COMMUNITY THROUGH VOLUNTEER SERVICE! We can all help to make Waterdown a truly friendly and caring community. This is a great way to connect with people in your community as we build a better Waterdown.